up in soil, resulting in much lower fertilizer use efficiency. To overcome phosphorus’ low efficiency, farmers often over-fertilize at the beginning of the season, or top up phosphorus via multiple in-season foliar or fertigation applications. Unfortunately, excessive phosphorus fertilizing is economically inefficient, can negatively affect the availability of zinc and other essential crop nutrients, and can lead to damaging nutrient leaching or run-off into ground or surface waters. Since potatoes have relatively low phosphorus foraging ability, they benefit from aggressive, proactive phosphorus management. Optimizing phosphorus availability requires a combination of practices, fertilizer sources, application timings and placements determined by both the growing environment and the crop’s agronomics. Phosphorus is typically band or broadcast applied at or near planting. Broadcasting is only effective if the broadcast phosphorus is incorporated evenly throughout potato’s 12 inch root zone to allow the highest possible root interception. Side-dressing phosphorus post-planting is the poorest application method as surface applications will not reach roots and incorporated applications can damage roots. Water soluble phosphorus fertilizers applied at or near planting tend to release their phosphorus rapidly, often before peak potato demand. Often, the delay between the nutrient’s release and the crop’s peak uptake is long enough for the nutrient to become fixed in the soil and unavailable. Some growers choose to apply foliar sprays and fertigation applications multiple times throughout the growing season. While these can be effective, the crop must be extremely carefully managed to ensure phosphorus levels do not drop below critical levels between applications. 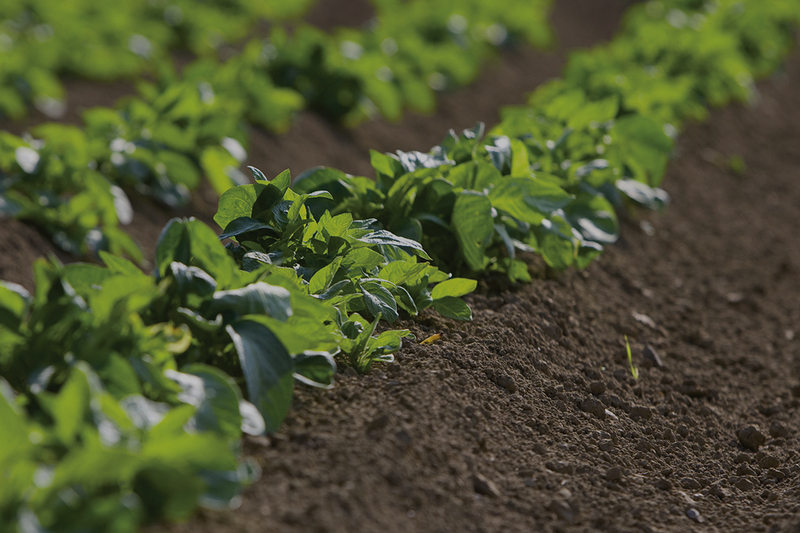 Other growers opt for a combination of an early-season water soluble phosphorus combined with a slow release mid-late season phosphorus in order to ensure adequate nutrition from vegetative growth. Not sure if your phosphorus application is optimizing your crop potential? Soil testing is always wise and should be the foundation for all of your fertilizer investment decisions across all your crops.